John Allen Astin was born in Baltimore, Maryland, USA. He is an American actor. He was nominated for the Academy Award for Best Live Action Short Film for his directorial debut, a comedic short film entitled Prelude. He studied mathematics at Washington & Jefferson College. 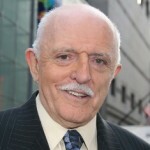 He earned a BA degree in Drama from Johns Hopkins University in 1952. His role in several films include: The Pusher, That Touch of Mink, The Wheeler Dealers, The Spirit Is Willing, Bunny O'Hare, Get to Know Your Rabbit, Freaky Friday, Teen Wolf Too, Night Life, Stepmonster, and The Frighteners. His role in television include: I'm Dickens, He's Fenster (comedy TV series), The Addams Family (TV series), The Pruitts of Southampton (comedy TV series), Operation Petticoat (TV series), Mary (TV series), Mr. Boogedy (TV film), Attack of the Killer Tomatoes (TV series), and School of Life (TV film). He currently teaches both acting and directing in the Theater Arts and Studies Department at Johns Hopkins University.